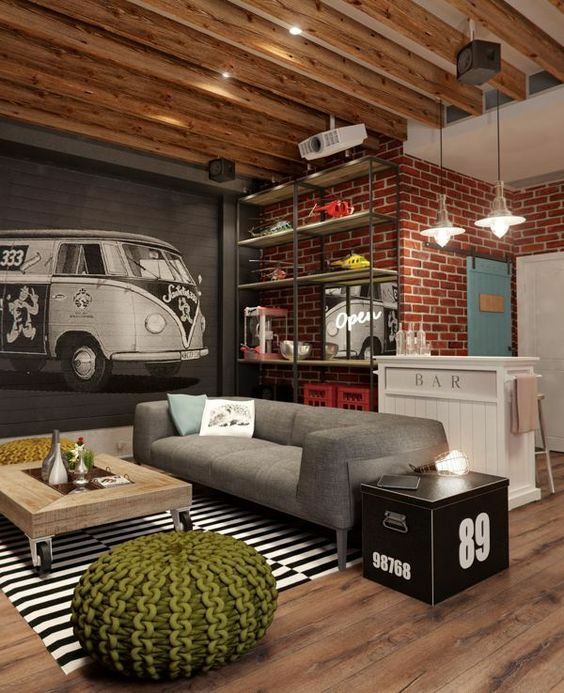 You may just finished remodeling your unfinished basement and are now in search of some great basement decorating ideas to make the space seem completely finished and pulled together. 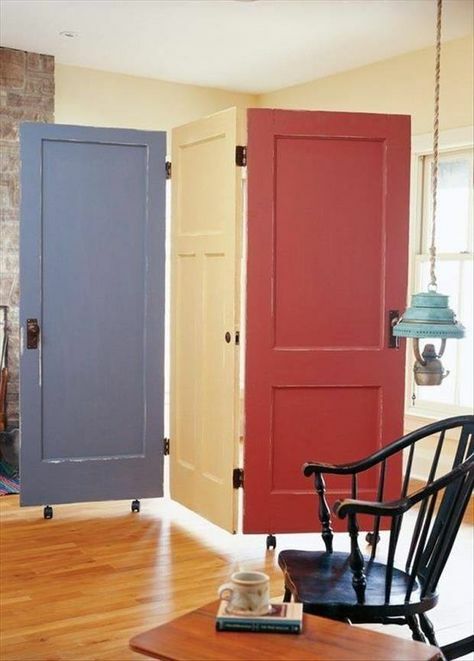 Or, you may just want some fresh basement decorating ideas to spruce up your basement that is in need of some fresh finishes. 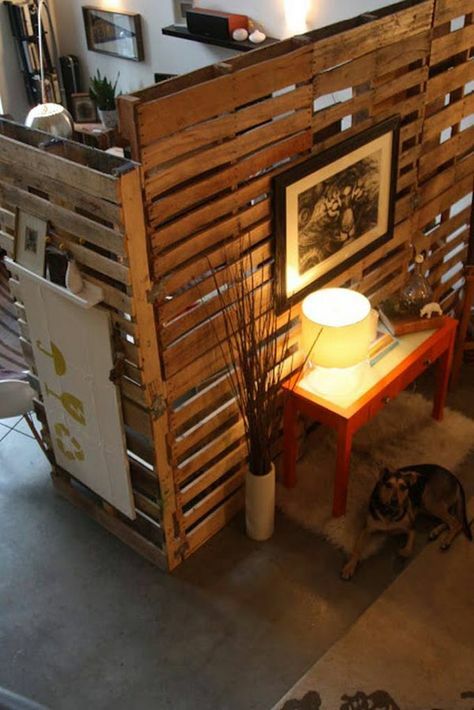 Whatever the case may be, I have a few tips and point of advice on ways to decorate your basement space. 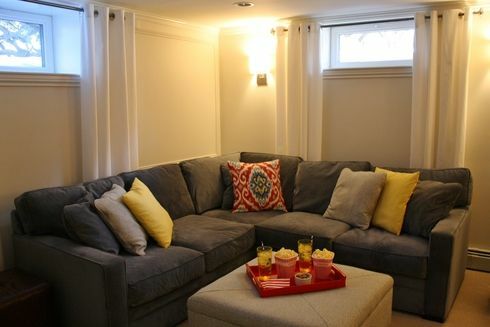 Use bright neutrals to keep the space looking more open and inviting. A basement is obviously a sub level room that most often does not have any windows or doorways that let in natural light. 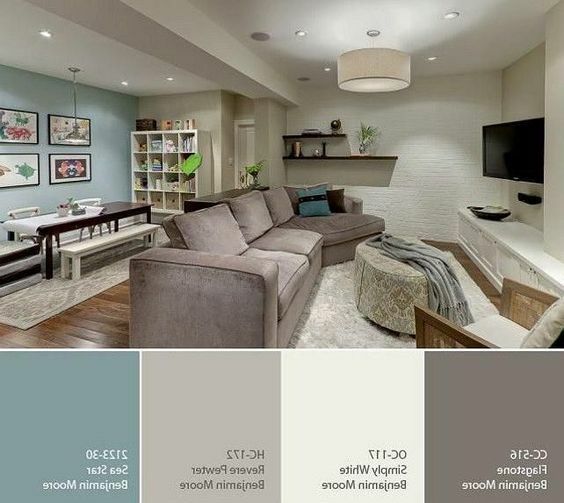 So, when considering basement decorating ideas for your color pallet of choice – you should gravitate toward bright neutrals like whites, light grays, and tans. These neutrals will provide a great foundation to add pops of color through pillows, textiles, art, and other items that you choose to put in the room. Bright neutrals are also classic and timeless; they make a normally dark room seem lighter and brighter. Make sure that your large pieces of furniture are neutrally colored as well so that you don’t feel like you have to run out and buy a new sofa or table every time you want to change the accent colors of your basement! 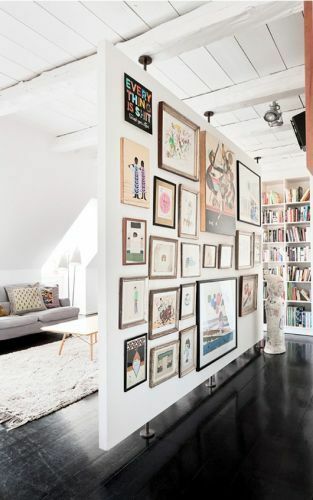 Another great tip for basement decorating ideas is to consider using large pieces of art to cover the empty expanse of walls in your basement space. 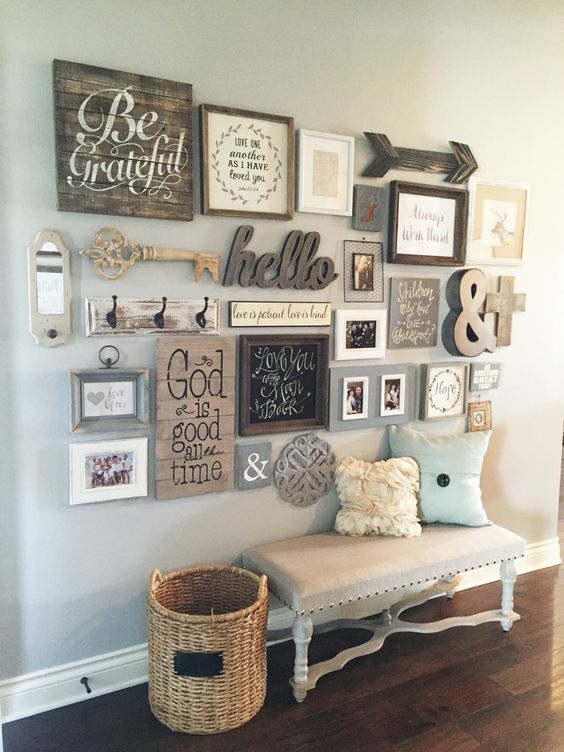 Also, don’t be discouraged if you think that large art has to be expensive and you have a small decorating budget! 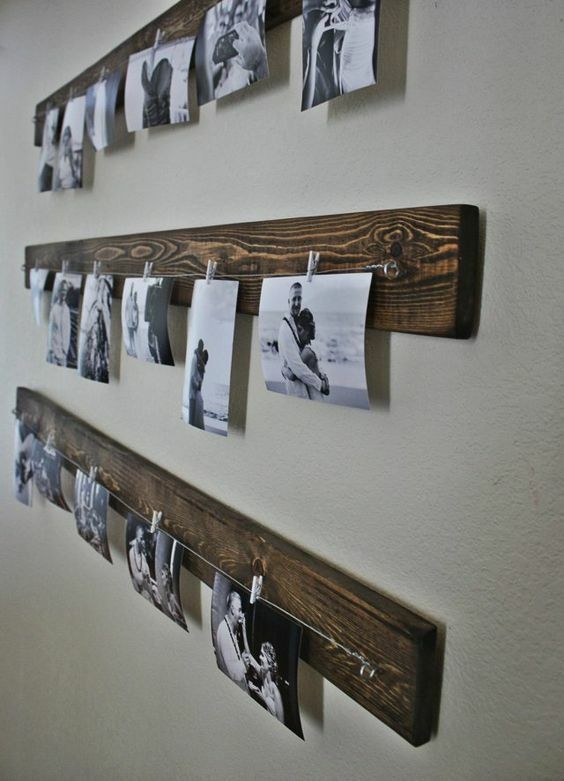 You can use things like making a gallery wall out of pictures and wall art that you already have – or scour your local thrift shop to find cheap frames that you can paint one color to create a uniform gallery wall. 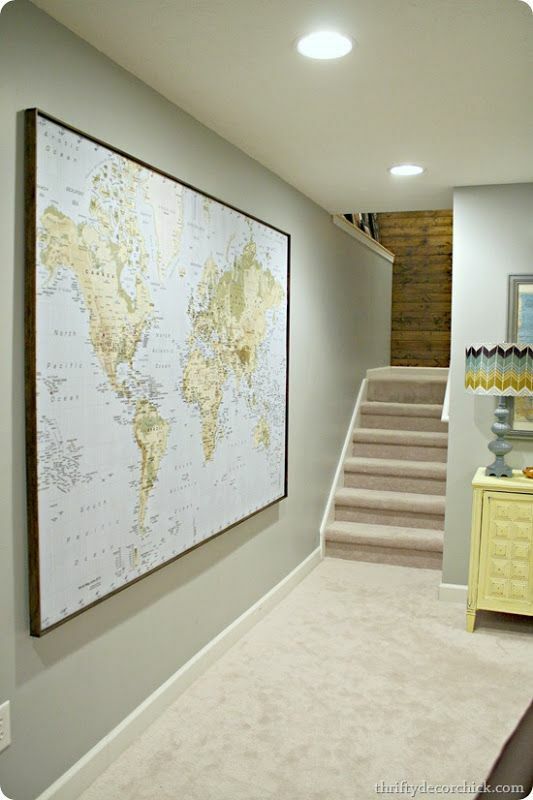 Maps are another great classic piece that you can use to fill large empty places along your basement walls. 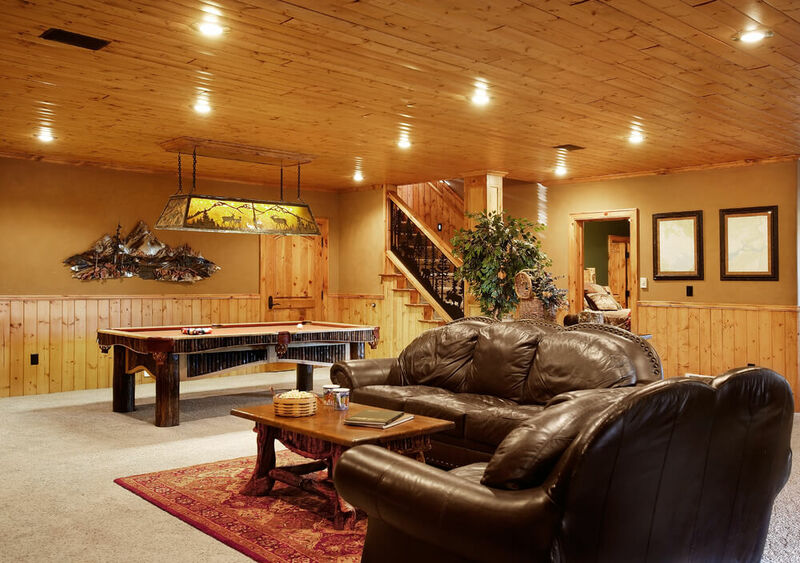 When looking for basement decorating ideas, it is important to remember to section off different areas of your basement in order to meet the different needs/uses you have for your basement space. 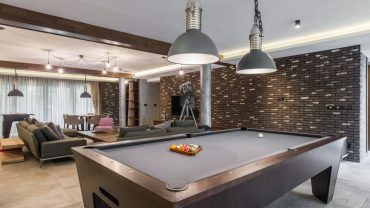 Some such areas are sitting area that is conducive to TV/film viewing, a bar area that would be great to use during parties or gatherings, or a game space area equipped with a pool table or Foosball table. 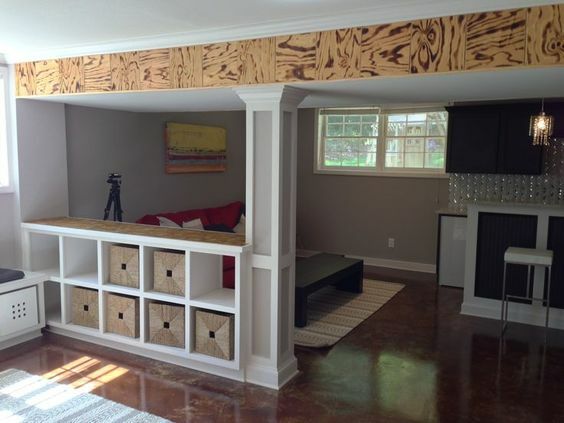 These separate spaces will help to define the different places you want certain activities to take place and will help to give your basement space a more cohesive and purposeful feel. 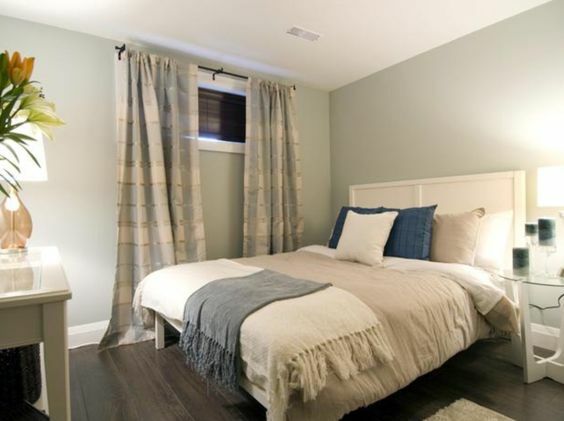 Curtains may seem like an odd way to decorate when thinking about basement decorating ideas, since many basements do not have windows; however, curtains can be used to create temporary room dividers. Also, if you have unfinished cement block walls, you could put up curtains to cover those walls and create a sense of warmth for your space. 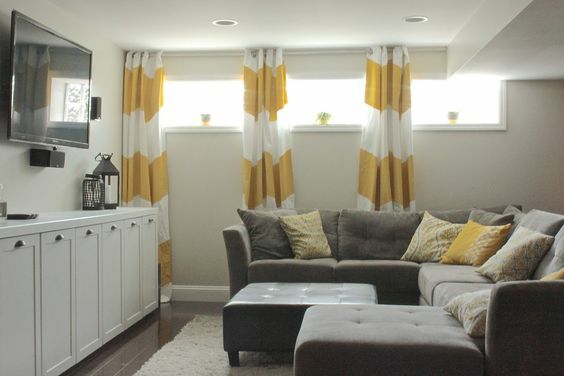 Curtains are also an affordable option in the realm of basement decorating ideas! 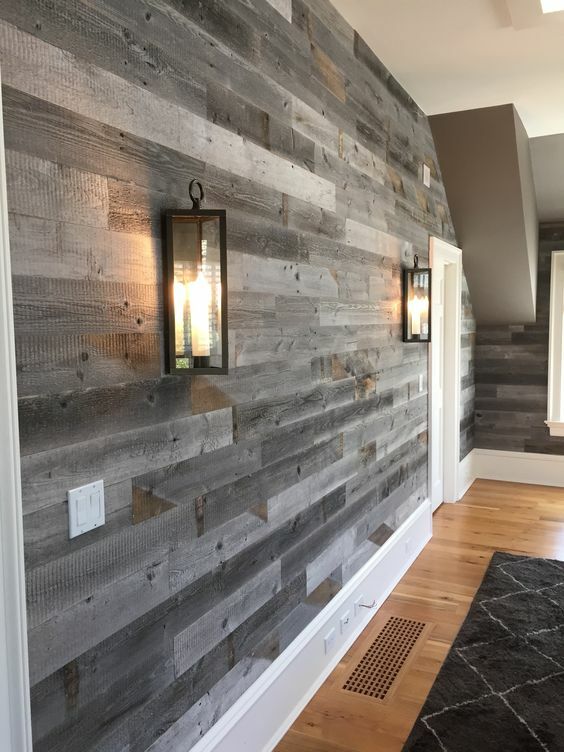 Wood pallets are a very trendy item to decorate with these days, and using wood pallets in your basement decorating ideas is another great place to implement such a versatile product. 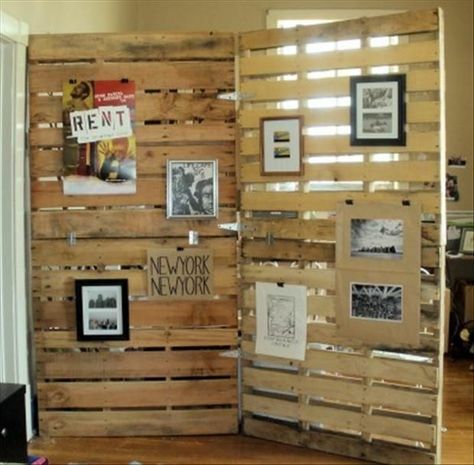 Wood pallets could be stained and secured together to create temporary room/wall dividers that help break up a space without completely shutting it off from the rest of the room. 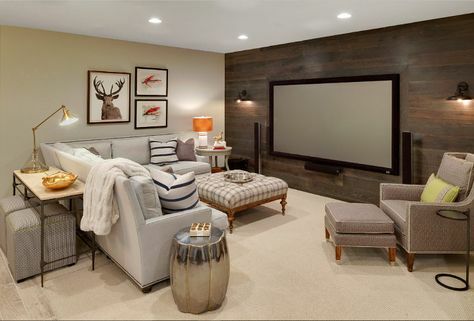 As with any decorating project, basement decorating ideas can seem like an overwhelming topic, but it doesn’t have to be! 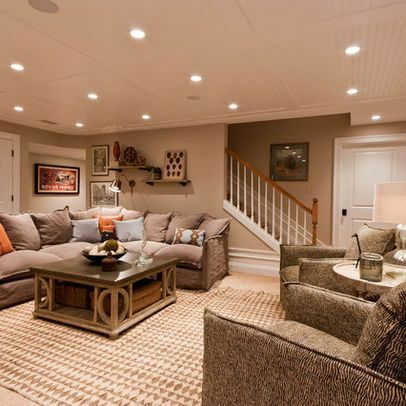 I hope these four points of consideration in basement decorating ideas have helped to spur your imagination for decorating your own basement space! See more basement and man cave ideas here.